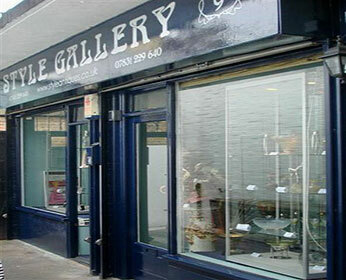 Style Gallery is a premier UK antiques dealer specialising in Art Deco, Art Nouveau Arts and Crafts, mid/20th century, silver, pewter and glass with a selection of beautiful pieces from Liberty & Co and WMF. Style Gallery can be found at 8-9 Pierrepont Arcade in the world famous Camden Passage, Islington, London, we have been established in the Camden Passage area since 1979. In 1988 Style Gallery had the original 1906 WMF (Wurttembergische Metallwaren Fabrik) catalogue published (Art Nouveau Domestic metalwork) along with colour plates of some items from the exhibition which launched this publication. This has been the bible for WMF collectors worldwide. Our worldwide clients include individuals, collectors and museums. Our opening times are Wednesday 9.30 - 5.00 PM and Saturday 9.00 - 5.00 PM or other times by appointment. Please call, email or drop into our gallery. We look forward to hearing from you.